Rich soil, well-drained with plenty of organic matter to retain moisture. Sunny, not exposed or windy. Marigold, Lovage, Petunia, Potatoes, Strawberry, Silver Beet and Beetroot. Sow direct into soil once the risk of frost has passed. Supply plenty of water to the roots from flowering through to harvest. 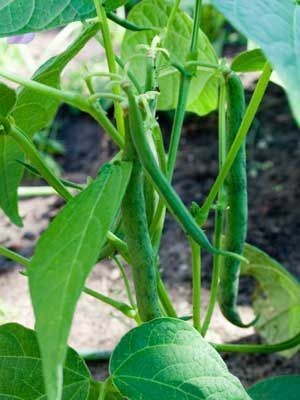 Pick young beans regularly and the plants will continue to crop.